The vending industry is absolutely booming thanks to innovative machines and new concepts. The demand for healthy snacks are at an all-time high and unhealthy vending machines are being replaced by healthy alternatives. 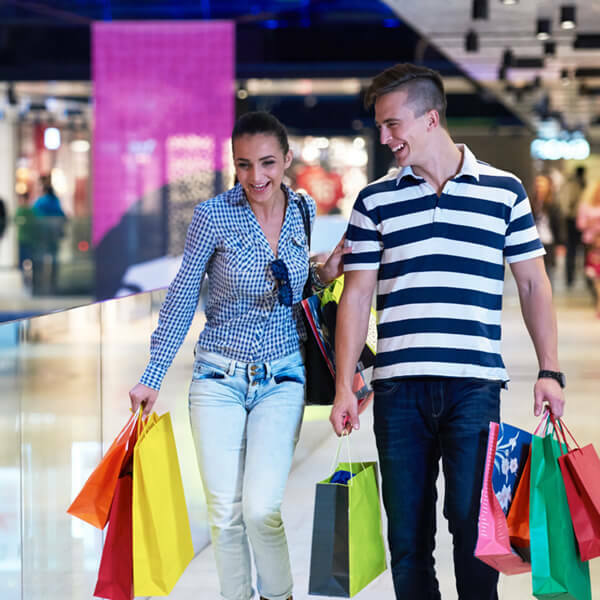 Everyone from schools, office buildings and shopping malls are seeking out healthy alternatives to offer their customers, visitors, students and employees. 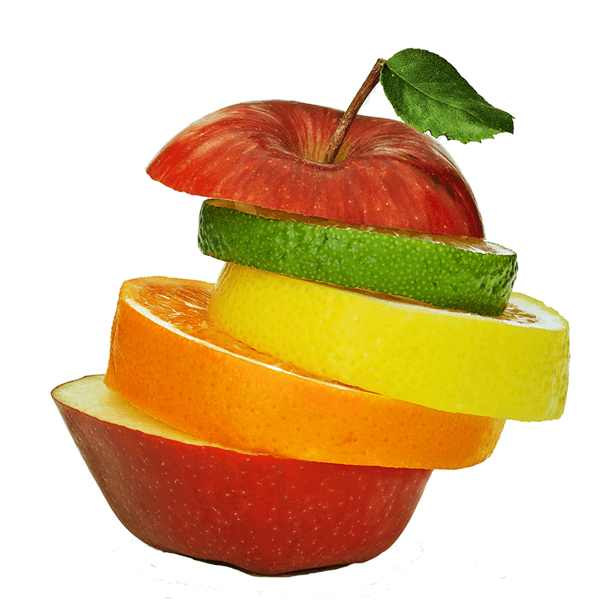 With Healthy Snacks To Go you can cash in on this growing industry with your own healthy vending business. 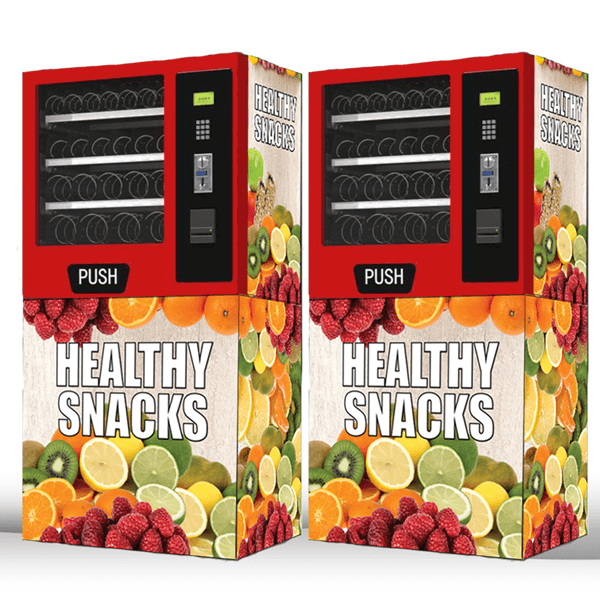 Healthy Snacks To Go is combining the demand for healthy snacks with the most innovative machines on the market and placing them in high-traffic locations nationwide. The demand for healthy snacks is at an all-time high as consumers are looking for healthy alternatives. Our innovative machines are smart, sleek and compact...and cost a fraction of the competition! 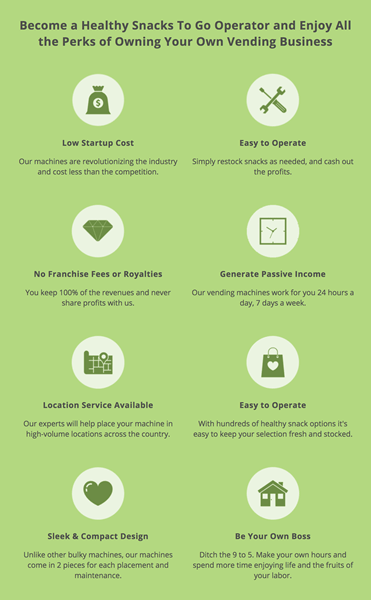 We'll help you get your machines in high-volume locations for maximum profit. Our machines are revolutionizing the industry and cost less than the competition. Simply restock snacks as needed, and cash out the profits. You keep 100% of the revenues and never share profits with us. Our vending machines work for you 24 hours a day, 7 days a week. Our experts will help place your machine in high-volume locations across the country. With hundreds of healthy snack options it's easy to keep your selection fresh and stocked. Unlike other bulky machines, our machines come in 2 pieces for each placement and maintenance. Ditch the 9 to 5. Make your own hours and spend more time enjoying life and the fruits of your labor. Fill out the form today to request our free getting started guide. It outlines all the details regarding our machines and cost of getting started. Please call Gary Matthews directly at (800) 278-2568.